Home › News › News › EXCEPTIONAL CHILDREN WITHOUT CANCER RACE 2017 ! EXCEPTIONAL CHILDREN WITHOUT CANCER RACE 2017 ! On Sunday 24th of September, the 6th édition of the « Children without Cancer » race, organized by Imagine for Margo, has taken place near Paris, in Saint-Cloud National Park. It is the biggest charity race for a cause in France. Thanks to the great generosity of 5.000 runners, 25.000 donators, 300 volunteers and many partners, an exceptional cheque of 1.625.000 euros was given to researchers to accelerate research on childhood cancer. This incredible wave of solidarity is going to allow the financing of two innovative research programs that aim to better cure children with cancer: MAPPYACTS and BIOMEDE. Those projects will be implemented in partnership with the French Society that fights against children cancers and leukemias (SFCE), the Curie Institute, Gustave Roussy and the european network Innovative Therapies for Children with Cancer (ITCC). All the researchers who were present during the race were very emotional about this huge mobilization of so many runners, who came with their families, friends or even colleagues, in order to support little fighters and give them hope. A huge THANK YOU to all for this extraordinary mobilization. Without you, nothing would be possible. More then ever: GO, FIGHT, WIN ! 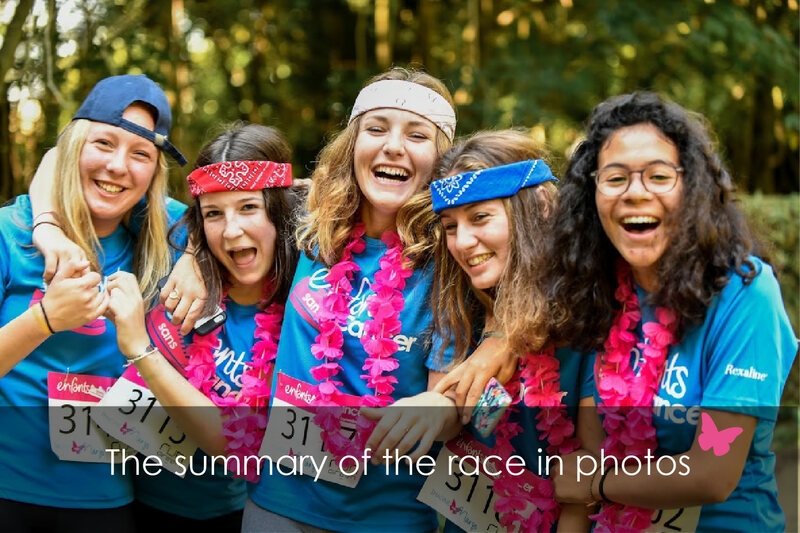 Before the race – the race – after the race – the photocall – the instacall – the 360° photos et our dear volunteers.